Jack Parow is one of the rising stars in the South African music scene. The song Die Vraagstuk by Die Heuwels Fantasties first put Jack Parow on the road to stardom. He performed his own set at Oppikoppi 2009 Smoorverlief and also made an appearance at the performance by Die Heuwels Fantasties at the same festival. In late 2009 Cooler As Ekke was released online. A video for the song soon followed. This song introduced Jack Parow to a wider audience. In my opinion Cooler As Ekke is one of the funniest songs ever released in Afrikaans. Not long after this Die Heuwels Fantasties released their video for Die Vraagstuk. A fellow blogger and copywriter Jess Kupan recently had the privilege to interview the Afrikaans rapper telephonically for MTN Ayoba. This is a transcript of that interview. Everything! The people, the parties, ja nee, we party hard! I’ve always been into rap, so that’s what I decided to do. My favorite rappers at the moment are Redman and Method Man. Ag, but I’ve always liked Eminem. What’s the story behind your hit Jy Dink Jy’s Cooler as Ekke, that? Haha, I was just tired of all these people who think they’re cool. It’s me calling them out! Is it true you lost weight playing the Wii Fit? Err, ja, it’s true, but I haven’t played in a while. You really tear into Jeremy De Tolly and the Dirty Skirts in your song, yet he’s in your Taxijam video drinking a Peroni. What’s up with you two anyway? Hahaha. Ag, it’s fun man; he’s fine with it. He doesn’t care, he thinks it’s funny! Who’s the most Ayoba artist around at the moment? Steve Hofmeyr, he has girls coming out of the woodwork, man. He is the Hugh Hefner of South Africa. How do you come up with your lyrics? Stuff people say when they’re drunk. It’s real life that inspires me. If you had to make us a special Ayoba drink what would be in it? If you put wet feet in wet socks you get… Stinky feet! My favourite thing to do in an ice-cream shop is… swim in ice-cream! 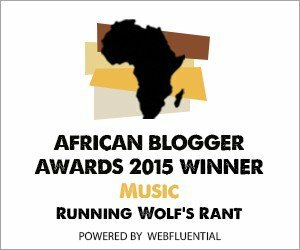 Running Wolf’s Rant would like to thank Jess Kupan for conducting the interview with Jack Parow and asking us to post this on our blog. We wish Jack Parow good luck with his future endeavours. He will be performing at the TUKS RAG Festival in Pretoria on the 29th of January 2010 (this week Friday). Die Heuwels Fantasties, Ashtray Electric and Straatligkinders will also be performing at the show. He will also be doing a performance on the 30th of January (this week Saturday) at Hatfield Square in Pretoria as part of Campus Invasion. aKING and Tidal Waves will also be performing there. Jack Parow’s self-titled debut album will be released at the end of April 2010 in South Africa. Recently a preview video for the single Dans Dans Dans was released. where to find jack parow cd?